The two-week run will begin in Perth on November 2 before hitting Adelaide, Brisbane, Melbourne and Sydney, wrapping up with a November 12 stop in Auckland, NZ. The UK rockers will perform their 1987 album, “Hysteria”, in full mark the 30th anniversary of the release. 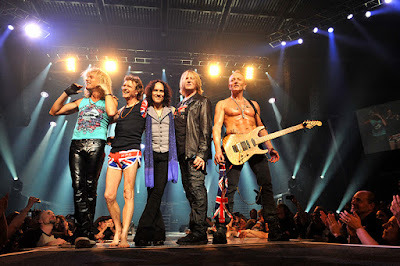 "I'm delighted that we can bring the whole Hysteria album to Australia later this year," says bassist Rick Savage. “From ‘Women’ to ‘Love And Affection’ plus many other faves thrown in for good measure. We can't wait!" A Def Leppard Rock Brigade fan club presale begins Friday, April 27 at 11am local, with general public tickets on sale Friday, May 4. Ahead of the fall dates, Def Leppard will team up with Journey for an extensive, 6-month co-headlining tour of North America that will begin in Hartford, CT on May 21.